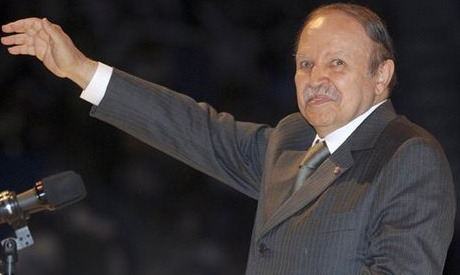 Algeria's water resources minister, Abdelmalek Sellal, was named prime minister by President Abdelaziz Bouteflika on Monday, nearly four months after parliamentary polls, the president's office announced. President Bouteflika "has today terminated the functions of prime minister Ahmed Ouyahia, who has presented the resignation of the government," an official statement said. "The president of the republic has named Mr Abdelmalek Sellal prime minister," it added.Ouyahia had held the post since 2008. No other information was given on the new government, which has traditionally been announced alongside the appointment of the new premier. Sellal, 64, is a technocrat with extensive political experience, having been closely involved in the presidential election campaigns in 2004 and 2009 that returned Bouteflika to power. He has held senior local positions and occupied a number of ministerial posts, including as transport minister and minister of water resources. No government was announced following the results of the parliamentary elections on May 10, which saw Bouteflika's National Liberation Front tighten its stranglehold on power. The delay "plunged the country into a period of hibernation and blocked its political life," Ali Laskri, the first secretary of the Socialist Forces Front (FFS), Algeria's oldest opposition group, said on Monday.